You know when you go to a holiday party, or get together, for that matter, and there is always that little tub of condensed dip, whether it be a french onion dip, or ranch? Don’t get me wrong now, as I will take a chip and stab it into whatever that dip is, and somewhat enjoy it, but I think we can all do better when it comes to making a dip. That’s where I came in this past week. 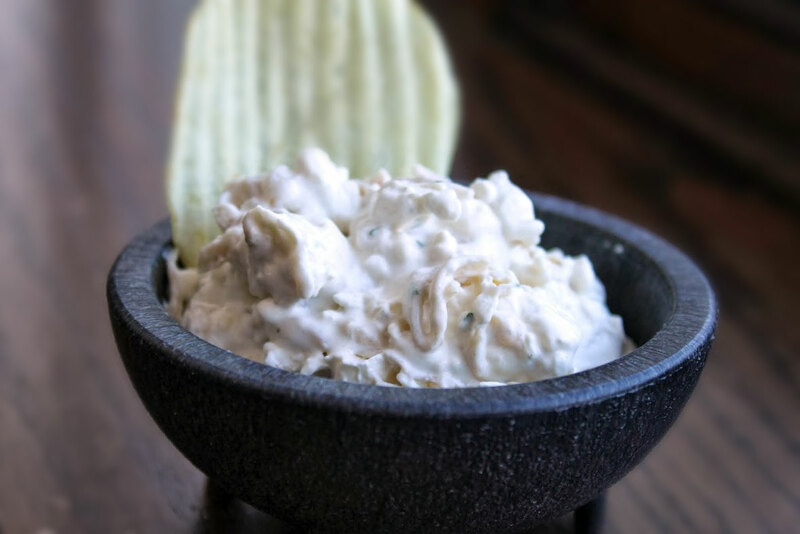 I had a lot of people coming over and as I had that idea of people liking to stab chips into dips, I decided to create my own version of caramelized onion dip, and boy was it ever great. This dip is super easy to make and the only time it takes is to caramelize your onions, and you can do that in advance if you would like. Start by heating a large skillet on medium heat. Add the oil, and let that heat up for a minute or so. Add in your thinly sliced onions, and give a good stir. Season with a pinch of salt. Cook on medium to medium-low heat for about 30 minutes, stirring along the way, until the onions begin to brown and caramelize. Keep cooking until they are fully golden and caramelized. Once caramelized, remove from the heat, and let them cool. To a mixing bowl, add in the remaining ingredients and give that a good mix. Taste. Does it need additional salt? If so, add a pinch or two more. Next, fold in the cooled, caramelized onions. Give that another good stir, then cover and place in the refrigerator for one hour to let the flavors come together. When you are ready to serve, remove the dip from the refrigerator and serve in one of your serving dishes along with the chips or pretzels, or vegetables. This dip completely dominates any store bough dip, sorry store dips. You get nice clusters of the sweet caramelized onions, along with the creaminess from the crema and cream cheese that is perfectly balanced by the worchestershire sauce and garlic. 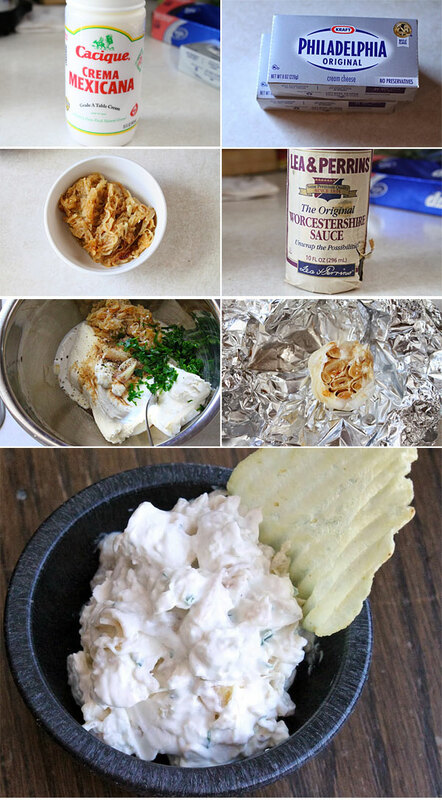 My wife, who is not the biggest fan of most any creamy dip was going back for more on this dip. That is always a great sign that I did something right. Give this one a shot on your next get together, and I guarantee you and your guests will love it. What is the difference between Mexican cream and sour cream? Hey Angie – to me the difference between the two is that Mexican crema is a bit lighter and thinner in texture.